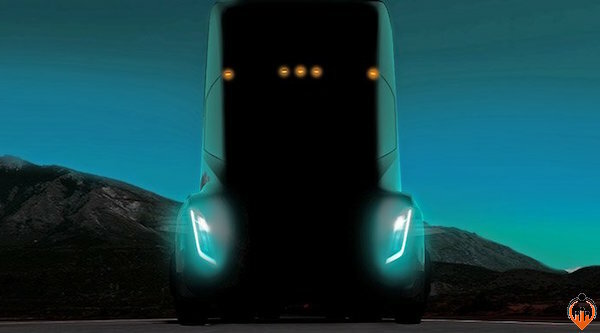 Steve’s breakdown: That’s the promise of Elon Musk regarding their new truck. Sounds like a challenge for any agency to deliver on. Start your engines!! PALO ALTO, CA: Tesla CEO Elon Musk has made a big promise for the company’s electric semi, despite a delayed unveiling that provided a window for rivals and established automakers to announce equivalent projects. Official teasers and rumors have not illuminated any particularly distinguishing characteristics, aside from its unique external design and electric drive system. Cummins has already revealed a prototype electric semi that closely resembles a traditional diesel-powered rig, while Daimler claims to be the first to put a lighter-duty electric cargo truck into series production. Startup Nikola recently partnered with Bosch to help bring a bold zero-emissions semi to market using a hydrogen-electric approach. Toyota is already operating a hydrogen-powered fleet, meanwhile, at the Ports of Los Angeles and Long Beach. Tesla could be planning to upstage the other semis with deeper integration of an autonomous drive system, aiming to lead the parallel shifts toward electrification and driver automation in the trucking industry. Full details will be announced late on Thursday.